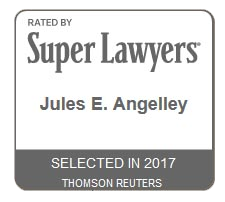 Jules Angelley’s practice is focused on civil business litigation, including contract disputes, franchise issues, SEC and regulatory matters, and fraud and business tort claims. She has been named a Texas Super Lawyer by Super Lawyers, a Thompson Reuters Service, each year from 2014 to 2017, and has been named one of the Top 100 women lawyers in Texas by Super Lawyers in 2016 and 2017. She rated 9.5 (Superb) by Avvo. Having worked for a global law firm in New York and Dallas, she has represented some of the largest companies in the world in trials, appeals and arbitrations. Mrs. Angelley is licensed to practice in Texas, California and New York, and is and admitted in the United States Court of Appeals for the Second and Fifth Circuits, the United States District Court for the Northern, Southern, Eastern and Western Districts of Texas, the United States District Court for the Southern and Eastern Districts of New York and the United States District Court for the Northern District of California. Key member of a two person trial team that obtained a complete defense verdict for a leading telecommunications company in a commercial fraud and business destruction case in which plaintiffs sought over $1.5 billion in alleged damages. Obtained dismissal of five putative class action cases bought in federal courts in New York and Texas and consolidated by the Judicial Panel on Multi-district Litigation for a leading defense contractor accused of violating Electronic Communications Privacy Act, state privacy laws, and state consumer protection laws by the alleged disclosure of data in connection with the government’s development of a post-9/11 system to screen airlines passengers for terrorist threats. Assisted in obtaining dismissal of class action shareholder litigation of suits brought by physician groups against a leading healthcare provider alleging securities fraud and challenging the provider’s business practices. Assisted in the defense of a publicly traded company in multiple federal securities fraud class actions and state court derivative suits stemming from antitrust investigations by the DOJ and an SEC inquiry. Assisted a leading manufacturer of tobacco products in its nationwide campaign to eliminate the manufacture and sale of counterfeit product. She personally handled fifteen plus cases to favorable resolution, including drafting complaints, obtaining injunctive relief, drafting written discovery, conducting depositions, and obtaining summary judgment. Represented a leading hotel company in a putative nationwide class action brought on behalf of travel agents to recover in excess of $100 million in commissions that were allegedly due and other damages, including extensive discovery on class certification issue and a week-long evidentiary hearing on class certification with presentation of live witnesses. Represented a variety of franchisors in litigation with current or prior franchisees relating to issues of breach of contract, termination of the franchise agreement, and enforcement of the terms and conditions of the franchise agreement. Author, Potential Pitfalls in Attorney Internet Advertising, Texas Lawyer, July 21, 2014. Author, Certiori Granted in Aviation Pre-Emption Case, Texas Lawyer, July 8, 2013. Author, The Stowers Doctrine – In Need of An Update, Texas Lawyer, July 22, 2013. Author, Field Preemption and the Federal Aviation Regulations, SMU Airlaw Symposium, February 2003. Author, Dealing with Low Ceilings, Trial, American Association for Justice, April 2012. 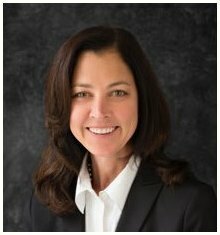 Mrs. Angelley graduated with honors from the University of Texas in 1991 and earned her law degree from the University of Texas School of Law in 1995.